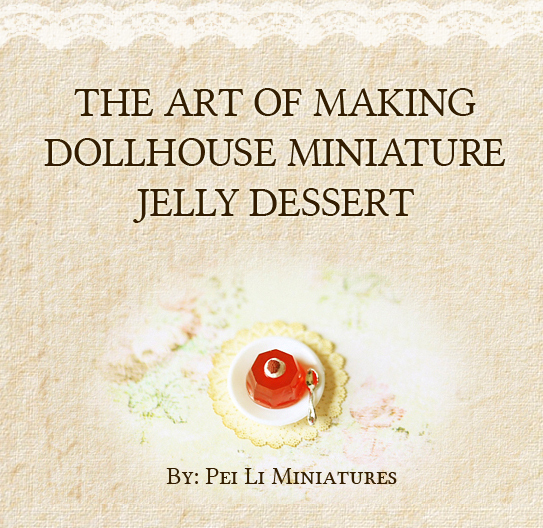 This fake food tutorial is especially written and created for those who are interested in learning how to create dollhouse miniature dessert jelly. 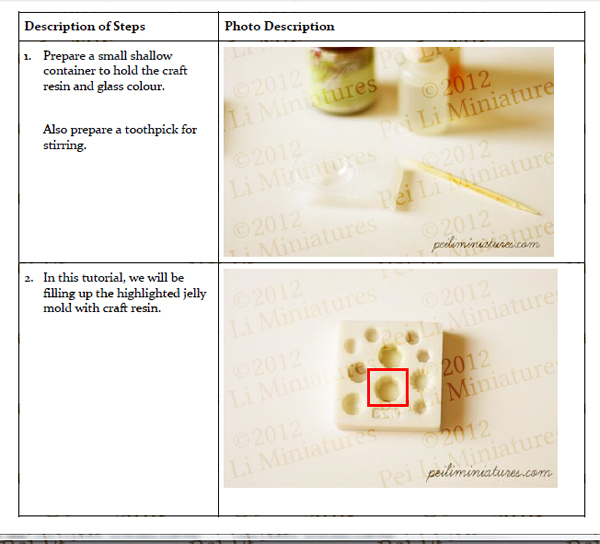 Follow my step by step tutorial with colored photo descriptions and instructions to achieve realistic looking dollhouse miniature dessert jelly. Since June 2014, I've incorporated another method on how to make the dessert jelly into this tutorial. Therefore, you will learn 2 methods on how to make the dessert jelly in this tutorial! You will receive a PDF file 24-48 hours after you have made your payment. If I am right beside my computer after you make the payment, you will receive it pretty soon! PDF file will be sent to the email address that is indicated in your etsy account. Please also check your spam folders. Please contact me if you did not receive it after 48 hours. Note: Due to the nature of this product, which includes a digital file, no refunds or exchanges can be made once purchased. I am grateful for your understanding! ENJOY Greater savings when you purchase the Mold and tutorial together.